If you are looking for something a little different from your traditional two wheeled cycle, why not consider this fantastic Quadricycle. Designed by Martin Strohmeier the StroM Bouqetin Quadricycle has been created to provide a solution for serious trail riding and touring using a Quadricycle. The StroM Bouqetin Quadricycle is equipped with rear wheel drive and features full independent suspension, dual shock rifles, a variable ball-gear drive and four disc brakes. 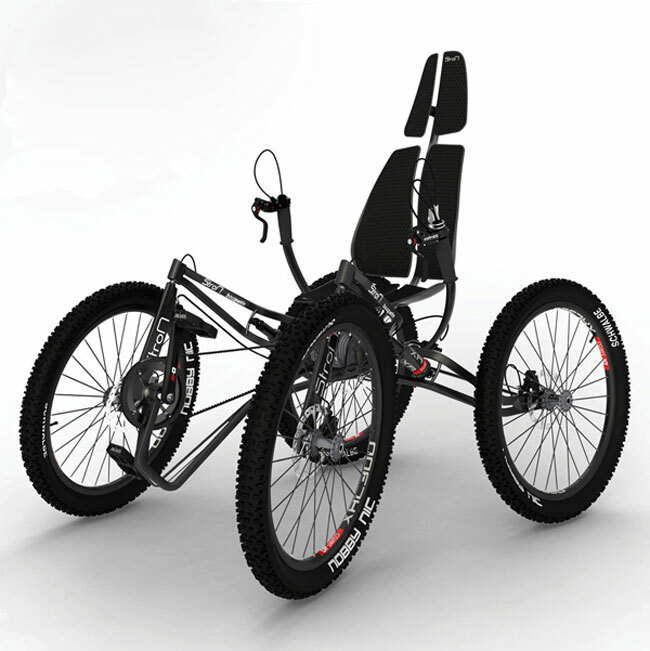 Its frame has been constructed from lightweight aluminium and carbon fibre and the design incorporates a high backed seat and reclining cycling position to provide easy ergonomic pedals, even when you need to push a little harder to cover rougher ground. Due to the quadricycle being a concept, unfortunately no information on pricing or worldwide availability has been released as yet, but as soon as anything comes to light we will keep you updated as always.